Himanka Das, CEO, Vizeum India has over two decades of experience working across categories and brands managing an envious portfolio of clients such as HUL, P&G, Bajaj Auto, Jet Airways, Park Avenue, Balsara Hygiene, Coke, BPCL, Maruti, Union Bank of India, Jyothy Laboratories, Samsonite, Idea Cellular, Total India, JSW Steel, Panasonic, Standard Chartered Bank, HDFC Bank, Allied Blenders and a host of others. Trained as a strategic media planner, Das is a hard negotiator who is always keen on acquiring new knowledge and skill sets. 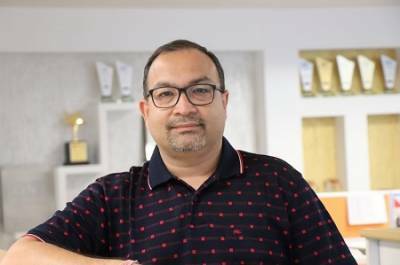 Himanka started his media career with Madison and has worked with agencies such as Initiative, FCB Ulka, Starcom and a decade long stint at Lintas Media Group. He has been with Dentsu Aegis Network (DAN) for 7 years. He was the force that turned around Carat India Mumbai office with client wins such as JSW Steel, India First, Disney India, Mondelez and Standard Chartered. At DAN, he has been tasked with the responsibility of leading Vizeum India since the 1st of January 2018. He has earned the distinction of being a sharp strategic thinker whose solution oriented approach to brand challenges has helped turn around businesses/offices from loss making entities to turning a profit. In the course of his career, his entrepreneurial spirit has guided him into making several aggressive acquisitions. He has carefully cultivated his client relationships over the years which have helped him maintain his business relationships. He is a stronger believer in producing leaders within an organizational hierarchy. When not at work you might catch him in media industry panel discussions on thought leadership or delivering a lecture in professional institutes discussing the role of media transformation in a digital economy and preparing young talent that may join the industry. I really feel privileged. I have a younger sister who is a US citizen now. We had an ideal childhood that one dreams of. We have no regrets. There are many unforgettable memories. The first fracture of my foot while playing football, family weekend outings in our Bajaj Scooter. Those summer and winter vacations (train journeys we did across the country) and post vacation how our Mom asked us to write an essay capturing our memories and learning. Our parents saved for months and months so that they could take us by flight. We used to get pampered by our grandparents and our uncles. As we grew I remember how our parents were more tensed helping us prepare for exams. The times when they spent sleepless nights when we were not keeping well or when we were preparing for our milestones. It’s unforgettable! My father was a PhD. in Physics. He used to explain principles and philosophy of life from the eyes of a Physicist. When he explained the concept of Karma he said “For every action there is an equal and opposite reaction”. The other aspect that my father taught me that still motivates me today is ‘Karmanye vadhikaraste Ma Phaleshu Kadachana’ which means ‘Do your best…Success shouldn’t get on to our head…take Failures as the greatest lessons…Earn respect do not command respect’. As a metaphor my father always used to tell me it is the person who makes the chair and not the other way round. Gardening. While my father was a Professor at the University, we kept residence at the University Campus. We had the luxury of staying in a bungalow with a huge backyard and front yard. The backyard was used for growing seasonal vegetables and the front yard for seasonal flowers. Back then I assisted the gardener. A person you look up to or a mentor who shaped you as a person? Undoubtedly my parents. Each contributed distinctly to shape me to be a responsible person, be it in my personal life or professional life. I try to do my best as a responsible son, brother, husband, father and professional. If one takes responsibility for all aspects of life then virtues such as generosity to any living being in the Universe, collaboration to get things done, agility to take decisions etc. are acquired naturally, both in your professional and personal lives. I miss my father but all his life lessons still keep me strong in any situation. My mother continues to be a source of strength who keeps reminding me how important it is to be humble and to be fearless. We used to reach home from school (Bosconian) at 3:15 PM. After freshening up for half-an-hour or so, by 4:00 PM we are out cycling or at the playground playing sports till 6:30 PM. There was a strict instruction that by 7:00 PM we should be seen on our study tables. That’s the kind of discipline we were inculcated with. Luckily, till the 1982 Asian Games we didn’t have a TV at home. Today, children are busy playing games on various screens. I grew up during the Doordarshan era. Chitrahaar, Vikram Betal, Star Trek are shows I grew up watching. As a teenager, my favourite ones were the Godfather trilogy, serials based on the Munshi Premchand and the lessons learnt from Fyodor Dostoyevsky’s short stories. When it comes to kid's content, what do you think is the role of the broadcaster? Children are the future citizens of our country who add to the value system of our society. Broadcasters should play the role responsibly by striking the balance between entertainment, knowledge and wisdom in their content that should help kids understand what is good and bad. Consumption of kid’s content on TV is slowly shifting towards mobile screens (Parents' mobiles). You need to be cautious about children’s accessibility to content in that space with parental controls like dual viewing (i.e. mother and the child watching together on the mobile screen). 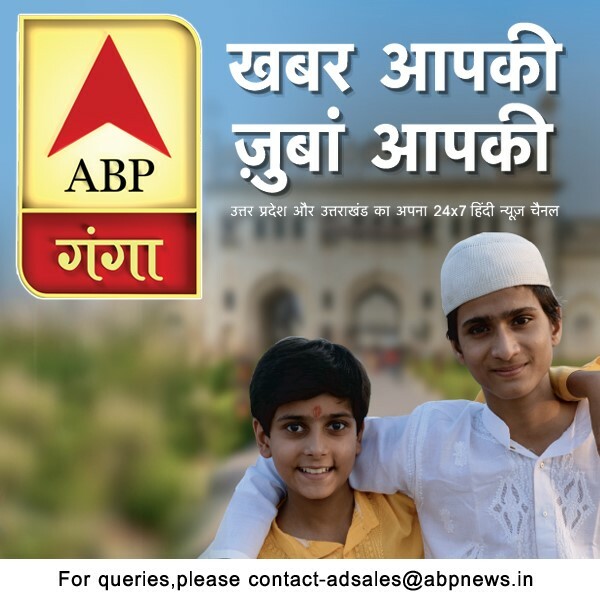 How do you see the evolution of kid's content in India? It makes me happy to see original Indian content coming up in the kid’s genre. Its progress from what we had earlier that was Chinese and Japanese content dubbed in Hindi. Going forward I want to see a lot more original content in this space. What are the things from your childhood that you feel should return? Playing outdoors; more interactive family time at home (it’s been observed the family might be together at home but each family member is busy across various screens). In today’s generation, kids are pretty well informed. They do their own research and that is why their opinion definitely has an impact on the buying decisions of the family. It is not just them pestering their parents anymore.